We have all - at some time - saw a name that makes us think of a particular brand or item or even person and every time we see this name we often do not consider just how much that name is worth or what went in to securing its safety for a company or individual. In today's fast moving culture names - be they people, places, products or plant species - are open to being manipulated, copied or deliberately misused and in order to prevent that from happening it is wise to trademark the name you plan to use. Indeed there are some extremely famous examples of trademarks which are used today and in order for these names to be used the individual or company wishing to use them must pay a fee. Such examples include Coca Cola, British Telecom right across the spectrum to the names of rock bands and people; The Spice Girls, Star Wars, all of these are trademarks and monies must be paid to avail of their use. In order to register a trademark you must first have a search carried out to ensure that no other company, business entity or individual is using that name. Let's say you might wish to trademark your own name; if it is a common name you must ensure beforehand that no other individual has trademarked the name otherwise you will be in direct breach of the trademarking laws. You can register your trademark online if you wish to do so - more information can be found at www.uktrademarkregistration.com. As we have already mentioned however you must ensure before you attempt to register any trademark that it has not already been registered. It is also worth noting that if you wish to register a company or internet domain name owning these names is simply not enough; they must also have a valid trademark for you to ensure full protection against infringement and unauthorised use. 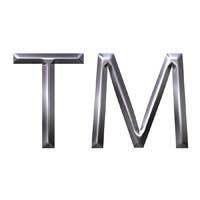 The average trademark will last for ten years from the date of its issue. Once you have registered your trademark you - and only you or your company - are legally obliged to use the trademarked name whilst the ten year period is in operation. After the ten year trademark has elapsed you must renew or risk the use of your trademark by others. If you do not renew your trademark just prior to the ten year period's expiry date then you may find that your company is open to fraudulent use of its name. Registering your trademark also covers it from being used in any of the European Union member countries without your consent. The cost of registering your trademark will vary depending on the nature of the trademark and what it will be used for. In order that you find the right trademark classification for you it is best to consult with UK Trademark Registration so that they may examine the nature of your proposal and also help you to understand the pitfalls and advantages of such a registration. You should also - especially if you are a new inventor or small business - consult with legal representation before embarking on the trademarking of a name or product name.